When you take a crunchy, buttery flavored almond and cover it with luxurious, delectable dark chocolate, the result is a healthy treat that is likely to surpass your expectations. 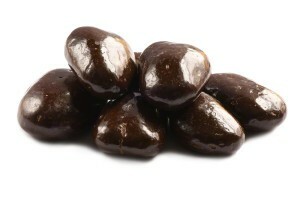 These delicious dark chocolate covered almonds make a wonderful snack or and can be an impressive item on a party table. They can take homemade granola and trail mix from ordinary to extraordinary. Dark Chocolate (Sugar, Chocolate Liquor, Cocoa Butter, Anhydrous Milk Fat, Soy Lecithin (An Emulsifier) and Vanilla) Almonds, Gum Arabic, Corn Syrup, Sugar, and Certified Confectioners Glaze. I have purchased dark chocolate almonds at various other stores and the size of yours are big with just enough chocolate surrounding the almonds. Can’t wait to order more. The quality of the chocolate is better than another company I used to get these from. The nuts are fresh and crispy and the price per pound is very competitive with a lower quality product that I ordered from Amazon. I will continue to use this source to satisfy my sweet & nutty tooth! 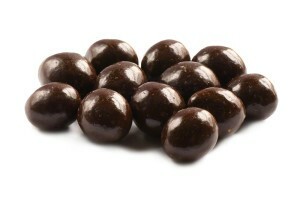 The dark chocolate covered almonds were covered in a thick coating of chocolate, which I appreciate! However, they were a little too sweet for me, which limited my binging. I suppose I should be thankful, but I do wish semi-sweet dark chocolate covered almonds were available. Please make! Thanks! I will buy again. I decided to test the dark chocolate covered almonds before the holidays. Each piece is covered in delightful chocolate that leaves such a pleasant taste, the almond inside is delicious. I have kept them in the original packaging and I stored them in the refrigerator. I allow myself 3-4 almonds at night, it’s the best dessert ever! The benefits of dark chocolate and almonds for health reasons are another plus. I will be ordering these year round! Dark chocolate almonds have been my addiction for years and these are amazing. I’m so thankful for Nutstop for offering them at the best price I’ve ever found anywhere. I’m a committed and happy customer and am now trying many of their other products as well. These are covered with lots of chocolate and are very tasty. I’ll order them again. Everything I have ordered has always been great! 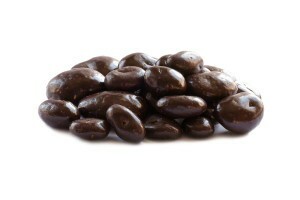 These dark chocolate almonds are wonderful!! I prefer dark chocolate over milk chocolate. I eat raw almonds for the magnesium. For a sweet snack I eat dark chocolate over almonds. I’ve ordered from Amazon, the chocolate is good, but the almonds does not usually tastes fresh. I love how these nuts are fresh and with the dark chocolate, they include a cold pack so it doesn’t melt. Ordering from Amazon, the nuts are sometimes melted upon arrival; hence why I went looking for other sites to order from. This site is refreshing. Can’t go wrong w/ dark chocolate and almonds in the same bite. 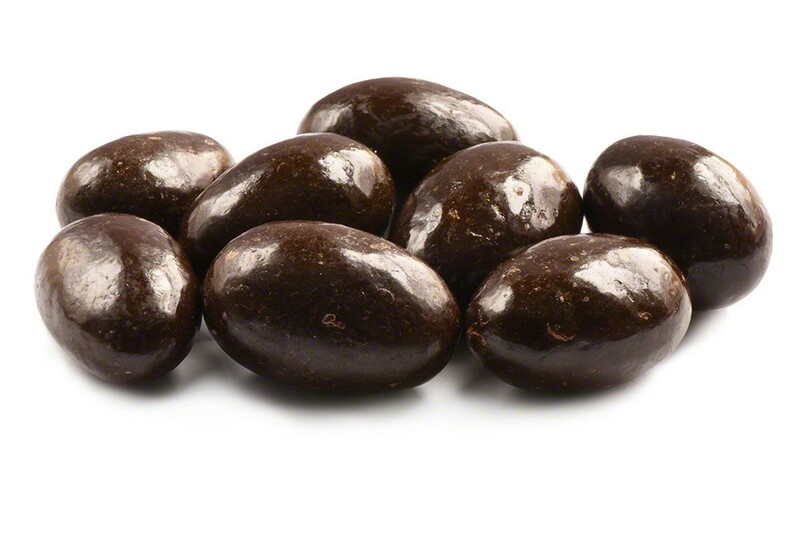 I have to admit an addiction to dark chocolate covered almonds – well – dark chocolate cover almost any nut or fruit. The chocolate is wonderful and the almonds are great as well. Glad I ordered 4 lbs to give them a shot and they more than passes the taste and quality test. Plentiful chocolate and crunchy almonds. Another spectacular find. Wow! I was impresssed by the large size. Almonds so fresh and crunchy. Chocolate so smooth and in great proportion to the almond. Soooo good! Good dark chocolate taste (prob about 60% cocoa) Thick chocolate coating!!! These were a real hit at Christmas with my family. They all loved and enjoyed them. They are nice large size almonds covered in yummy chocolate. Oh so delicious you just can not stop eating them.